Kimi Raikkonen did something extraordinary after the British Grand Prix. Having been hit with a 10-second penalty for booting Lewis Hamilton into a spin, he simply accepted the punishment matter-of-factly and apologised. That this seems worthy of comment says a lot about the way teams and drivers respond to penalties in Formula 1, both those issued to them and to their rivals. While Raikkonen's reaction is not unique, for very occasionally drivers do accept penalties, usually sanctions are railed against in no uncertain terms. F1 would be much better off if more drivers were like Raikkonen in such situations. Usually, people argue this because they don't want to see grand prix drivers behaving like whingeing footballers, but there's actually a far more important reason, one that has contributed to the proliferation of punishments that many criticise. Heat-of-the moment negative reactions can be understood. Hamilton and the Mercedes team both hinted at something sinister lurking behind what they saw as mild punishments for the two Ferrari-on-Mercedes incidents in the last three races - but subsequently distanced themselves from that. And in Hamilton's case, while he was criticised for his demeanour post-race that can be understood as a reaction to a race unravelling for him at a track where he intensely feels the pressure to give the home crowd what they want - a British victory. That sort of thing will always happen and is exactly the kind of emotional and human side people complain about not seeing in modern F1. But in many cases, the negative reactions to punishments are delivered long after the heat of the moment. A recent example came during the drivers' parade ahead of the Austrian GP, when the drivers were loaded onto the back of a flatbed truck and rolled around the circuit. Sebastian Vettel, who had been hit with a three-place penalty for impeding Carlos Sainz Jr during Q2 a day earlier, was asked by Sky Sports F1's Natalie Pinkham if he thought the penalty was fair and fired back: "No". 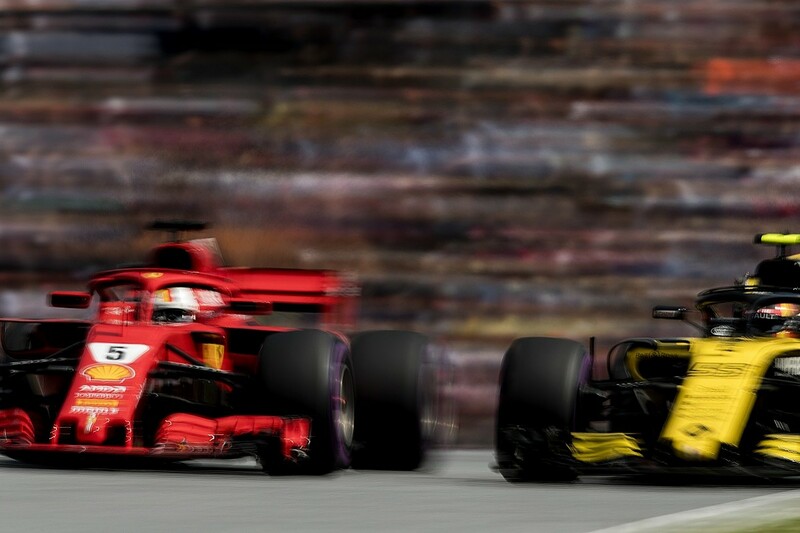 But it was a clear case of impeding, as he was dawdling in Turn 1 on a slowdown lap with Sainz bearing down on him on a quick one - and in fairness Vettel did admit he should have been aware even though Ferrari hadn't warned him. Some argued no penalty was necessary because it didn't stop Sainz reaching Q3, although the counter-argument there is that he went wide, clattered over a sausage kerb and battered the floor and front wing of his car. But Vettel said something very perceptive on the topic later on, getting right to the heart of what is causing the current epidemic of F1 penalties. What he said underlines that it's not down to the FIA stewards, who so often get the blame, but the drivers who bring this on themselves. "The rulebook's now so fricking big," said Vettel. "It's a result of all the drivers, all of us. We've more or less all been there, whingeing and complaining, 'oh he's done this, he's done that'. "In the end, you should let us sort it out on track, that's my belief." There's a trace of irony here in that Vettel, also a Grand Prix Drivers' Association (GPDA) director, is, according to some of his fellows, one of the more vocal on such subjects in drivers' briefings. But he's right. 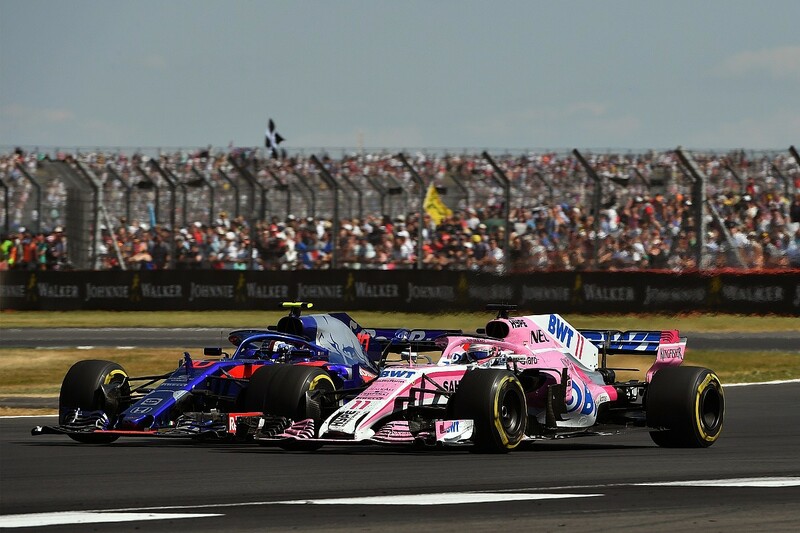 There was another example at Silverstone, with Pierre Gasly earning a five-second penalty for contact with Sergio Perez that pushed the Force India driver wide and made it possible to take 10th place. This meant they swapped positions after the race. Gasly branded the decision "completely ridiculous" - but one thing he said hinted that the punishment was largely trigged by Perez being very forceful in the post-race hearing. "He finished P11 without a point, so he tried to blame me as much as he can," said Gasly. While no action was taken, justifiably, for the Sainz/Romain Grosjean collision at Copse - the stewards' decision mentioned that both drivers agreed it was a racing incident. That suggests they were willing to let it go rather than forcing the issue, with Sainz realising that the boldness of his move played a part in the Haas wobble that led to the contact. Had Perez not tried to blame Gasly as much as he could, perhaps the stewards would have been able to let this one go? After all, it was largely overlooked that Grosjean had hit Haas team-mate Kevin Magnussen at Turn 3. This was quietly forgotten given it didn't overly hurt the Dane's race and, as team-mates, the pitwall didn't make a song and dance about the clash to FIA race director Charlie Whiting. Drivers always demand consistency, leniency or harshness when it suits them. Doubtless, if Perez was in Gasly's position in such a hearing in the future he will expect to be allowed to get away with it. But it would only be consistent to give him a similar punishment. What goes around comes around. And therein lies the problem. 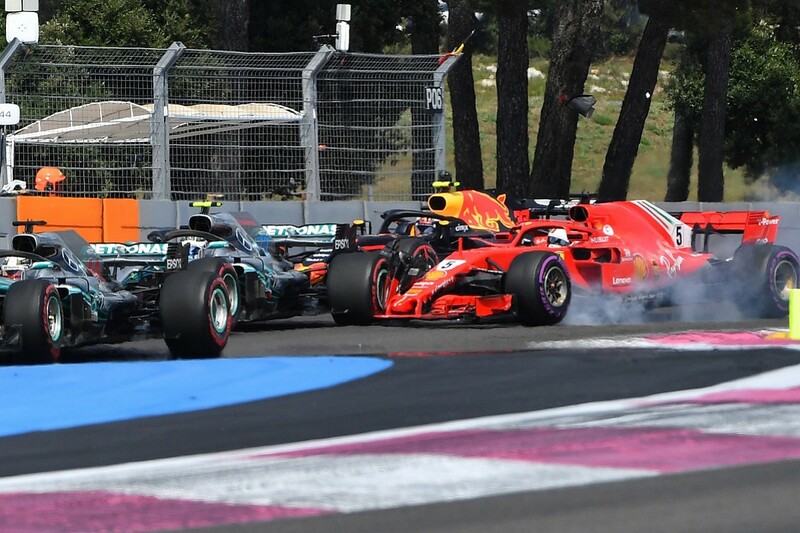 With the Raikkonen penalty, it does seem strange that an incident superficially similar to the Vettel/Valtteri Bottas clash at the start of the French Grand Prix brought a different penalty. In both cases, a Ferrari driver made a misjudgement and clattered into the back of a Mercedes on the first lap. Yet Vettel got a five-second penalty and Raikkonen a 10-second one. But beyond the superficialities, this comparison illustrates that no two incidents can ever be identical. And here we get into the tricky question of how outcomes should influence penalties. In principle, the outcome should not impact the severity of the punishment. Certainly, that should be the case when an action is taken that, through good fortune, a driver gets away with. For example, when Michael Schumacher pushed Rubens Barrichello towards the pitwall in the 2010 Hungarian GP, both continued without damage or delay. But as Barrichello's Williams did end up pinched between the Mercedes and the wall, leaving tyre marks on it, the lack of a damaging consequence shouldn't affect the fact the driving stepped over the line. When it comes to incidents that do compromise one or all parties, it becomes more difficult. At Paul Ricard, Vettel was not attempting to make a pass, misjudged the grip and slid into Bottas. At Silverstone, Raikkonen was attempting a pass on Hamilton and got it wrong. 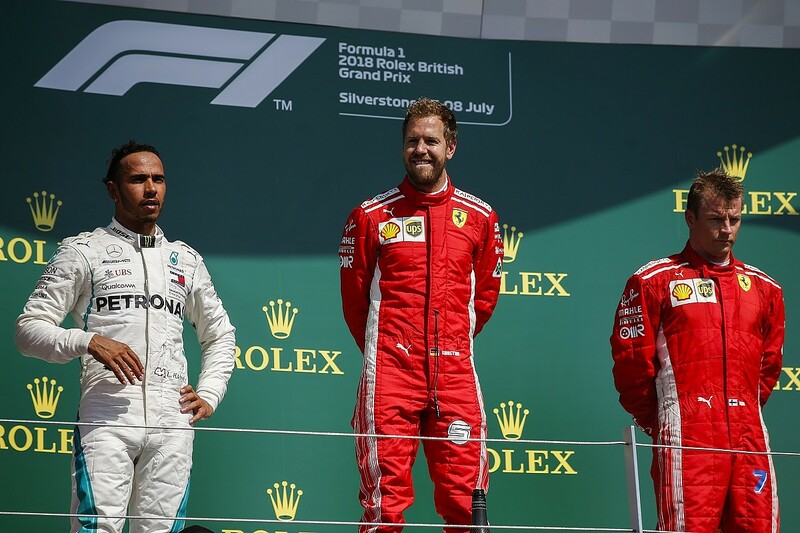 The outcomes were also different, with Vettel in France dropping to the back and requiring a nose change while Raikkonen continued unhindered in fourth place last weekend. In both cases, a quick verdict had to be delivered without the chance to pull drivers into a hearing. Where possible, there is an attempt to get decisions made in good time. 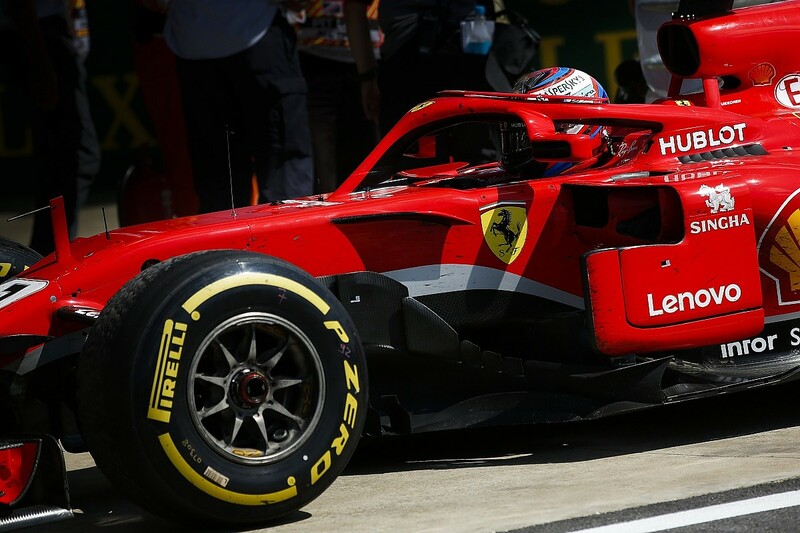 In the case of the Raikkonen penalty at Silverstone it was, from Ferrari's perspective, necessary because it led to the team delaying his first stop - where he had to serve the 10s penalty - to allow time to build up enough of a window over traffic. This is where arguments like consistency and outcomes not influencing things become a little more nuanced and complicated. Ultimately, the stewards could do nothing to undo the damage done to Hamilton's race because he had already dropped to 18th. But the punishment should also fit the crime. Then there's the question of what should be punished and what should be let go. There is an in-built leniency on first laps of races, which is a good thing. But what of simple mistakes in the heat of battle? While you have to have sympathy for Bottas and Hamilton in the two Ferrari incidents and can understand the Mercedes frustration, you can also argue that both incidents were honest mistakes and should have avoided penalties just as easily as you could say the punishments should have been more draconian. Here, perhaps the superlicence points system needs a revamp. It's a good idea, with 12 points over a one-year period leading to an automatic one-race ban (a point nobody has ever reached). But these points always accompany other penalties. Could both Vettel and Raikkonen have been given some standalone points and no time penalty? If that tactic was adopted, drivers who make a few honest mistakes in quick succession would pay the price. F1 has attempted to dial back the penalties, and the regulation that has been brought in demanding that penalties should only be issued when one driver is "wholly or predominantly to blame" for a clash makes sense on paper. But it also ties the hands of the stewards. Stewards, of course, who are aware that their decisions must stand up to scrutiny. And in a legal sense, that means to the letter of the law. Vettel and Raikkonen were wholly to blame for their first-lap errors, hence a penalty almost becomes inevitable. But the size of the penalty is more difficult. There are four penalties allowed in the sporting regulations - starting with a five-second or a 10-second penalty. These have to be served at the next pitstop (even if under virtual or the full safety car), or added to race time if the car stays out for the duration. A drivethrough penalty is the next step, with the possibility of a 10-second stop-and-go. Just to add more room for inconsistency, if a driver is hit with these but can't serve them because they retire, they can be turned into a grid penalty for the next race. 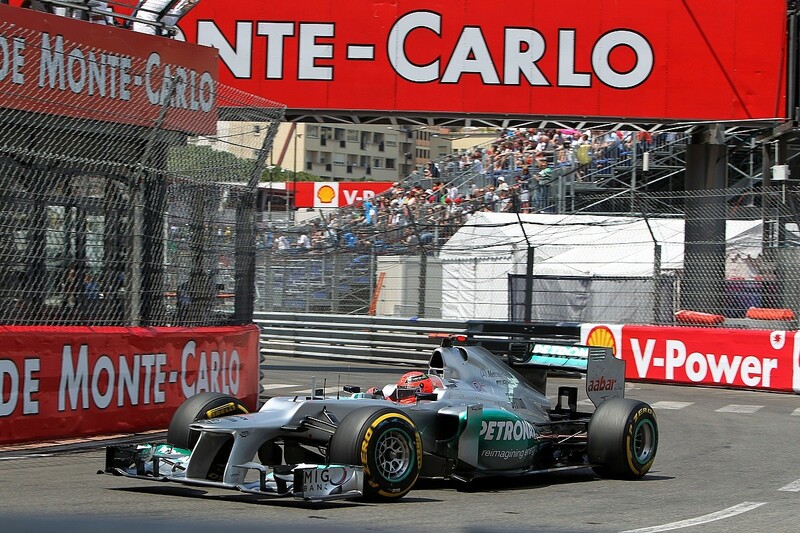 This led to one of F1's more frustrating problems, as the record books say qualifying pacesetter Michael Schumacher did not take pole position at the 2012 Monaco GP thanks to the five-place grid penalty for rear-ending Bruno Senna in the preceding race in Spain. The outcome of an incident sometimes must be factored in should there be extreme circumstances. Suppose at the start of a title-decider, one contender rear ends the other, and the offender wins the title as a result? That's a very specific example, but it also underlines why these ideas such as ensuring absolute consistency and the outcome of an incident not informing the penalty are noble but unworkable. Grey areas are unavoidable and, contrary to the feelings of the conspiracy theorists, these days you can be confident the stewards are generally making their decisions for right and honest reasons. Which brings us back to the drivers and their complaints. Partly, this is caused by the system whereby they feed back to the team managers, who then hassle FIA race director Whiting to flag things up to the stewards. It's understandable that drivers get angry about incidents and it's very easy for those of us watching to say that they shouldn't in the heat of the moment after some wheelbanging at some ridiculous speed. But while that's unavoidable, it's also become as much a part of F1 as players constantly complaining to the referee is in football. To continue the comparison with football, while drivers cannot and will not dive to get a decision in their favour, it has become standard practice to whinge over the radio. That happens not only for racing incidents, as we have heard drivers complain about track limits infractions. And mention of track limits opens up a whole new can of worms, one that is complicated by the discussions in drivers' briefings about what is and isn't allowed, and also the lack of what might be termed 'organic' track limits. Drivers will inevitably take what liberties they can, and there's always a way to gain some advantage with freestyle interpretation of the track configuration. 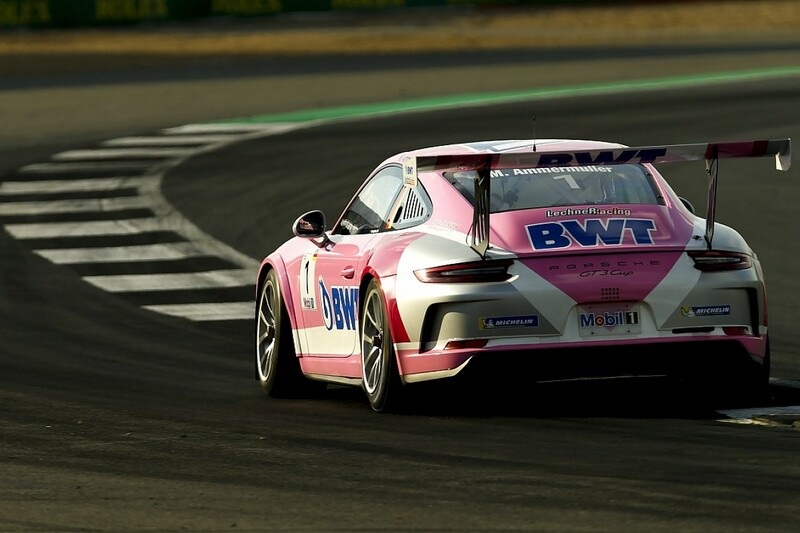 During the British GP weekend, it was ridiculous to watch a Porsche Supercup race in which every single driver ran wide and well beyond the edge of the track coming out of Club lap after lap. To come back to the example set by Raikkonen, it's in the hands of drivers and teams to take a more mature attitude to penalties. Vettel himself has talked sense on this subject. "Motorsport is not black and white so not every decision can be the same, and I don't see the necessity to decide every time, but that's what the sport has become," he said. Let's hope Vettel is making the same point in the drivers' briefings. His message should be simple: let's all be more like Kimi Raikkonen - complain less and when things do go against you, accept it.